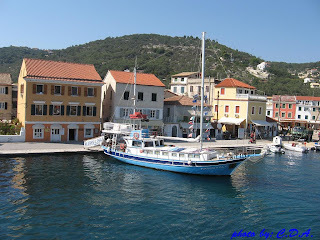 From Corfu town some of the organized cruises take you visiting the two southern islands of Paxos (or Paxi/Παξοί) and Antipaxos (or Antipaxi/Αντίπαξοi) . 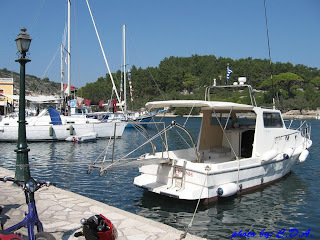 Paxi can also be reached from the mainland (Igoumenitsa/Ηγουμενίτσα and Parga/Πάργα)) as well as from Italy by hydrofoil boats. These two small islands are special, mainly because of their size and population (and I like small islands) but seems that many people consider this since real estates are rather expensive here. 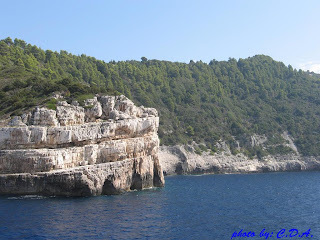 The bigger island Paxos has been inhabbited by prehistoric time, and shared most of the Corfu's history. 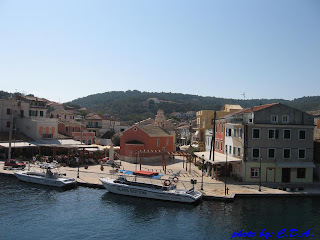 Its biggest towns are Gaios (Γάιος - the main port and capital) and Lakka (Λάκκα), where one can find a bigger diversity of shops and tourist attractions. 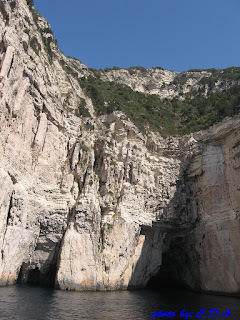 The island has steep shores with caves and it is covered in olive groves. The main occupations of the locals are, besides tourism, olive oil making, soap manufacturing and fishing. One can also find some gold and silver shops with tradition. For more info check out the official site (still unfinished) , paxosmagic.com, here and here. 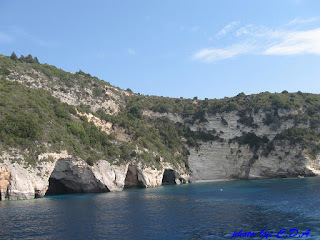 South of Paxos lies the small island of Antipaxos, famous for its wine. With an area of 5 square kilometres and a population of around 100 inhabitants I'd like to call it a rather ... intimate island, with a couple of magnificent beaches with crystal clear water. 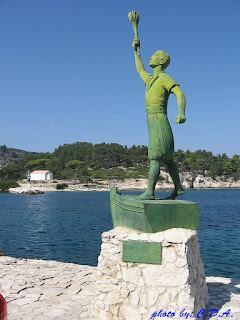 I have been to Paxos once, but not to Antipaxos. 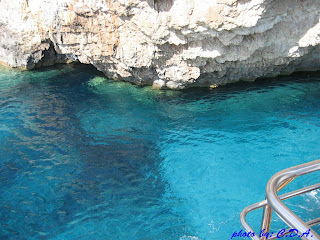 I never heard about Antipaxos before, but after reading this post and seeing the images, I think I would surely plan for a vacation there.